This is my last set of photos from Peppermint's Collection! I hope you like it! 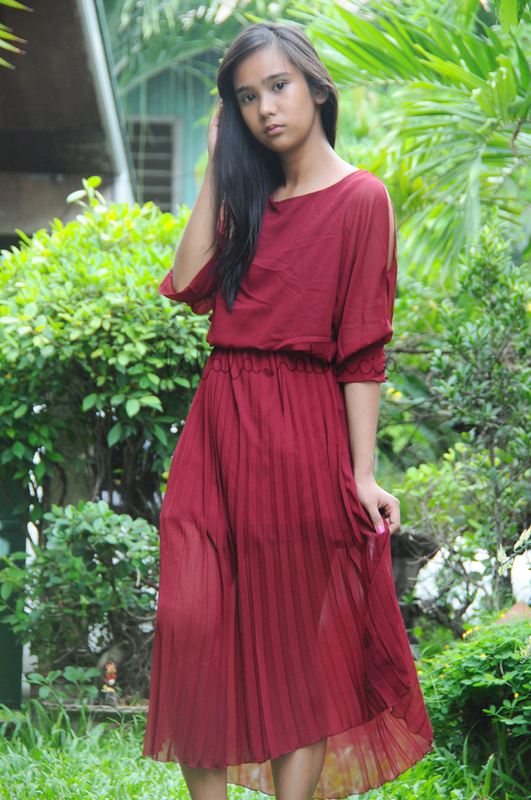 What can you say about the asymmetrical design off shoulder half sleeve chiffon dress? I personally love it! Pardon me, I know it lacks some accessories but who cares about the accessories if you're already tired from the shoot! Haha I didn't think of that and I just realized it when I saw the photos afterwards. 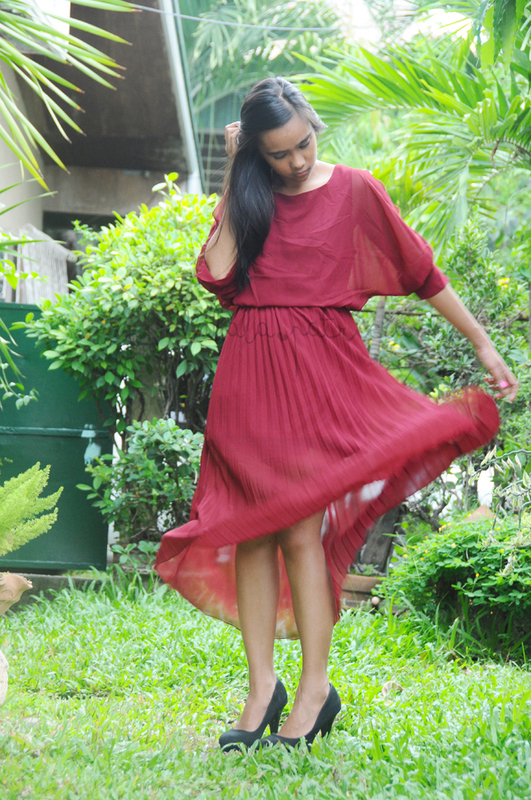 Anyhow, This dress is perfect for any dates or casual dinner night outs with friends. Just simple! You don't have to worry about over dressing too much, Just sway it! Add some gold chains and pouch right there to complete the outfit!